Hamburg based company Twinkind gives you the chance to create a realistic little 3D you. A quick scan of your body at their studio and 3D printing produces a photorealistic plastic figure from 6 - 14 inches. You can even bring your pets to get scanned! Prices start from 225 Euros. London based photographer Richard Haughton photographs food from some of the worlds most creatives chef's. Haruhiko Kawaguchi vacuum wrapped couples he met in nightclubs for his project 'Flesh Love'. 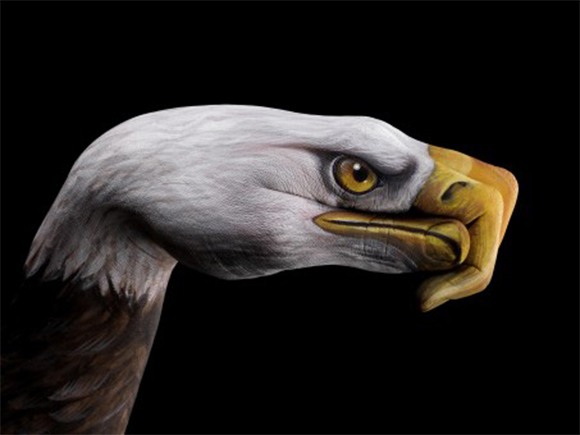 Hand paintings by Guido Daniele.